Bring your A-game and savor the breathtaking full-HD clarity of the Viotek GN27DB 27-inch gaming QHD monitor. Dominate the game and sweep the leaderboards with a curved display designed with game-changing, pixel-perfect precision. 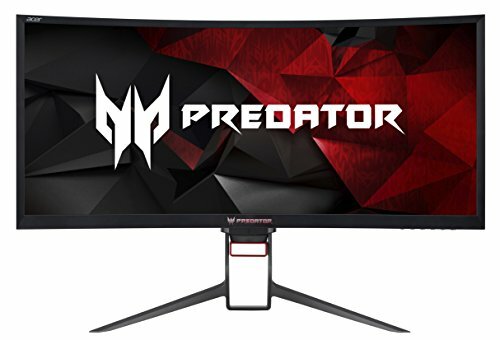 This 27-inch monitor lets you play games the way you deserve to: flawlessly.The GN27DB curved monitor features an uncompromising 178° viewing angle and gentle 1800R curvature. Its VA panels provide lush, crystal-clear color representation, capturing 16.7 million colors with 1,000,000:1 DCR. On-screen display options let you switch easily between multiple viewing modes: movies, documents, games and more. Enjoy seamless, fluid gameplay with integrated AMD FreeSync technology. Experience reduced image tearing and stuttering, even on graphic-intense, motion-heavy games. Take the advantage over other players by turning on Gameplus crosshairs and FPS/RTS display enhancementsThe tilt-adjustable stand lets you find the perfect right viewing angle. Compatible with any 75x75 VESA mount monitor stand, the hdmi monitor can be easily positioned to fit your game station. Multiple connectivity options give gamers the freedom and versatility to use the GN27DB exactly how they want: as an external monitor on its own, as a secondary laptop monitor, or as a game console monitor. Connect with PS4 or Xbox One using the DP1.2 or HDMI 2.0 ports. Xbox One S/X consoles can now enjoy FreeSync support for more fluid graphic performances.Stay focused on the game and minimize visual distractions. The anti-glare treated VA panels reduce light reflection on the screen. Use the low blue light mode to filter out even more harmful blue light and keep eye fatigue at bay. With serious specs for serious gamers, the Viotek GN27D is the pro-level gaming you deserve at a price you won't believe. 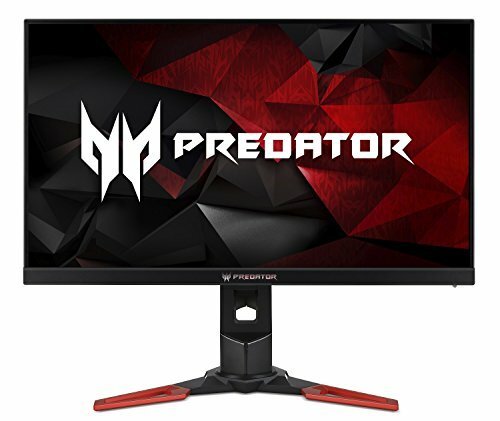 Fasten your seatbelt: Acer's Predator XB271HU WQHD display is about to turbocharge your gaming experience. 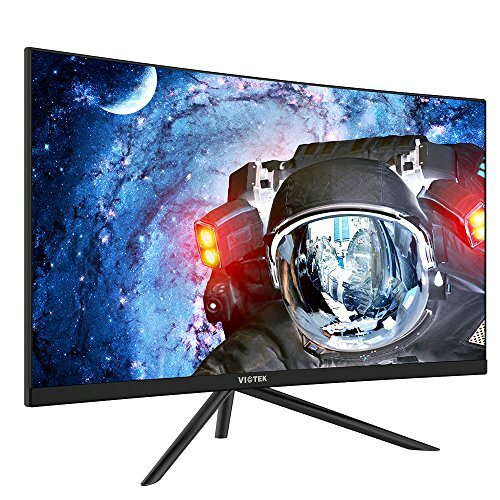 This monitor combines jaw dropping specs, IPS panel that supports 144Hz refresh rate, delivering an amazing gaming experience. 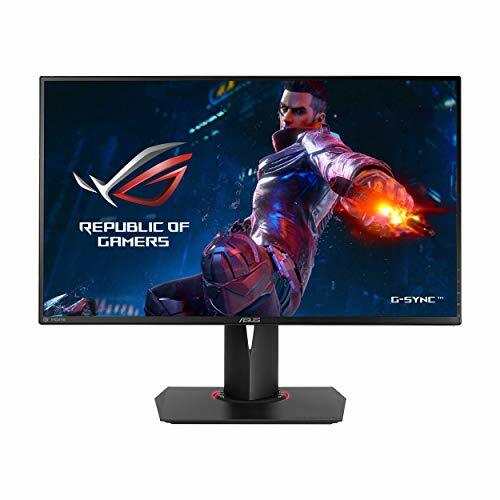 Also, featuring NVIDIA G-SYNC technology to eliminate screen tearing which provide gamers the epic gaming experience and help to secure the victory. Plus, built-in eye protection and ergonomics allow you to press forward into battle without fatigue. Store the LCD monitor in a room with a temperature of -20° to 60° C (-4° to 140° F). - Viotek Gold Standard Support - 100% U.S.-based customer service support, available 7 days a week. We don't play with dead pixels - neither will you! 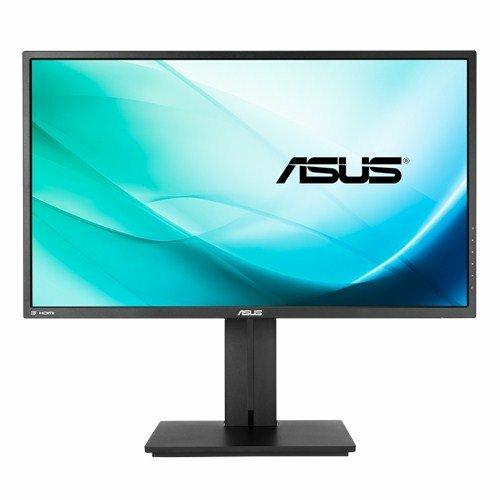 All new LED monitors are protected by our Zero-Tolerance Dead Pixel Policy and 1-Year Limited Warranty. - Enhanced Gaming Experience - Never miss the shot. The FPS/RTS optimized GN27D desktop monitor also sports GamePlus targeting crosshairs for game-winning accuracy. With AMD FreeSync technology, the ensures a smooth gameplay with reduced image distortion and motion blur. 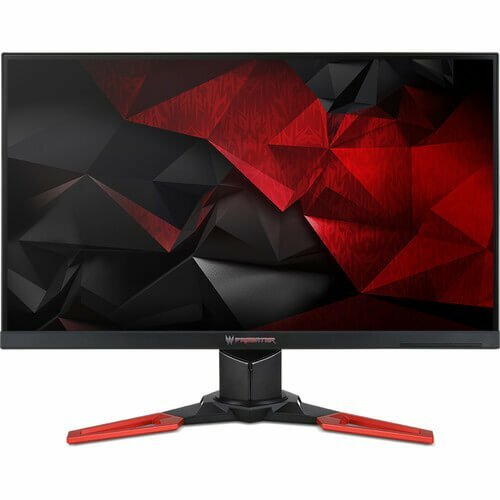 - Pro-Level Gaming - One of the best gaming monitors on the market, the GN27D boasts a robust QHD (2560x1440p) 27-inch display. The 144Hz monitor's color-rich panels deliver a unified graphic experience, perfect for motion intense games. 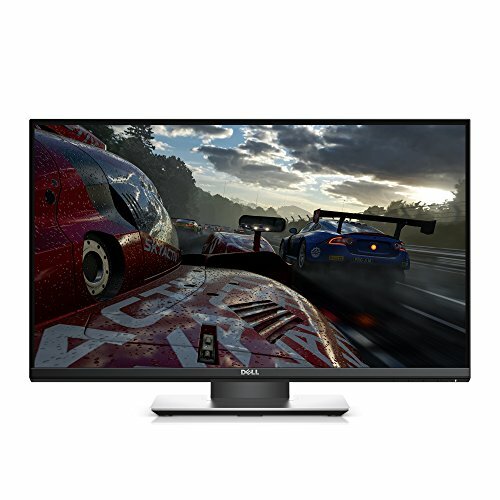 - Console Gaming Monitor - Through its connection versatility as a pc monitor with speakers, the GN27D can be used right out the box as a PS4 monitor, an Xbox monitor, or with any game console that can connect via DisplayPort 1.2, HDMI 2.0 or HDMI 1.4 ports. The Xbox One series also enjoys free sync monitor compatibility. 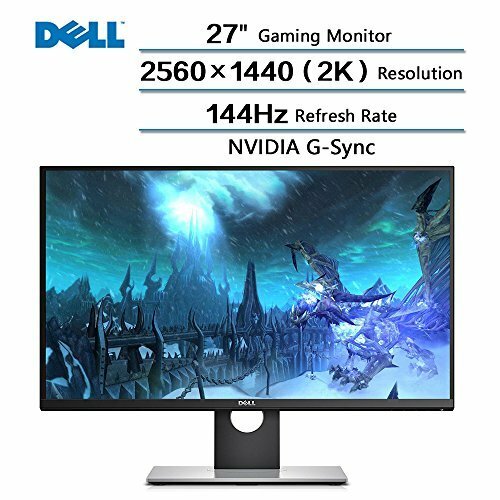 - Game-Streaming Ready - A computer monitor with built-in PBP and PIP makes multitasking quick and simple. Coupled with a 1440p monitor, this feature is perfect for YouTube or Twitch game streaming. Batteries 2 Lithium ion batteries required. 1 Lithium ion batteries required. 1 Lithium ion batteries required. Batteries 2 Lithium ion batteries required. 1 Lithium ion batteries required. Domestic Shipping Currently, item can be shipped only within the U.S. and to APO/FPO addresses. For APO/FPO shipments, please check with the manufacturer regarding warranty and support issues. Currently, item can be shipped only within the U.S. and to APO/FPO addresses. For APO/FPO shipments, please check with the manufacturer regarding warranty and support issues. Currently, item can be shipped only within the U.S. and to APO/FPO addresses. For APO/FPO shipments, please check with the manufacturer regarding warranty and support issues. Currently, item can be shipped only within the U.S. and to APO/FPO addresses. For APO/FPO shipments, please check with the manufacturer regarding warranty and support issues. Currently, item can be shipped only within the U.S. and to APO/FPO addresses. For APO/FPO shipments, please check with the manufacturer regarding warranty and support issues.